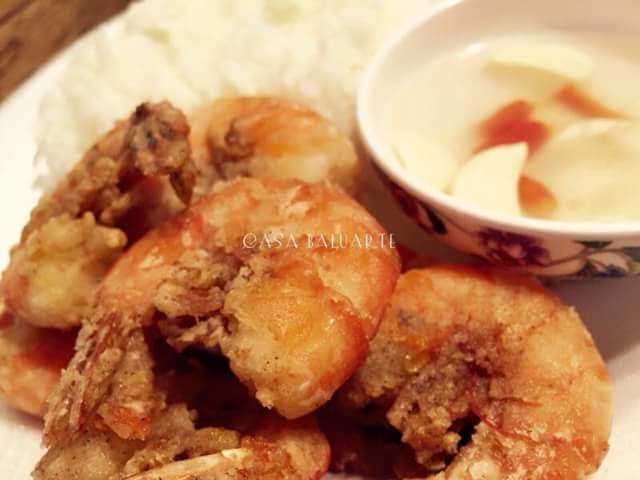 A simple shrimp recipe yet very satisfying. Clean shrimp, marinate in garlic for 10 minutes and refrigerate. Mix flour, cornstarch , salt and ground pepper. Add shrimp to the flour mixture. Heat deep pan and add cooking oil in medium heat. Once the shrimp turns yellow orange then it is cooked. 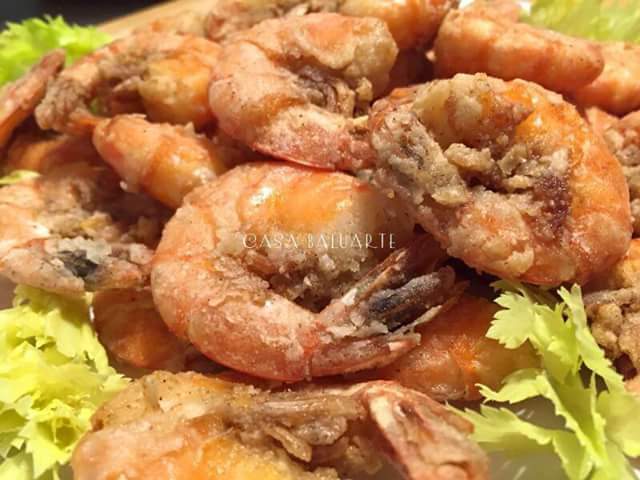 Remove shrimp and place in a paper towel to remove excess oil. Garnish with some slices of green onion and jalapeno if desired. Serve hot with spicy vinegar and lots of white steam rice. what happens if you fry them 5-10 pieces at a time?